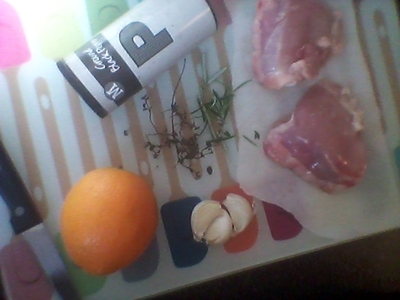 Rosemary is the perfect accompaniment to citrus fruits, and this is demonstrated no better, than with my orange and rosemary chicken thighs. It is truly lip-smackingly good. 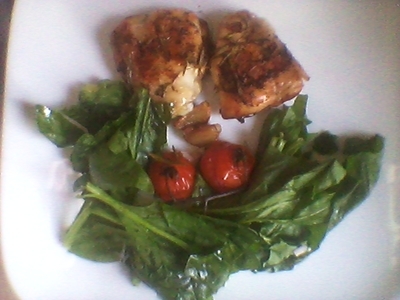 Kids - and teens - love this dish. 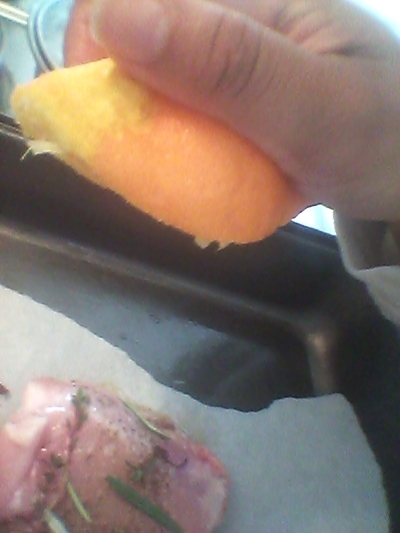 Place on greaseproof paper to avoid sticking, and squeeze over the juice of the orange. 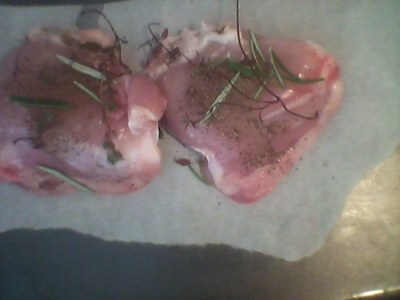 Place in the oven for 30 minutes at 180 degrees/until golden brown. 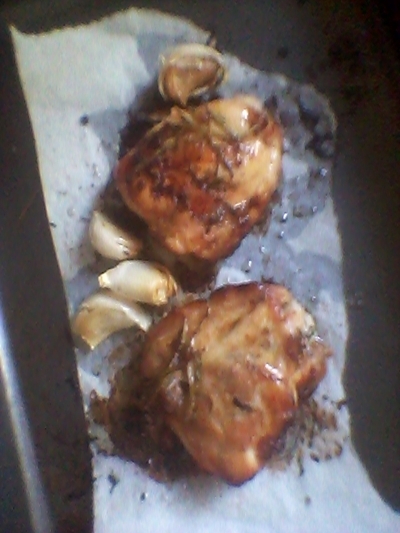 Ideally serve this with potatoes/rice or a medley of vegetables. Either way you serve it, it's delicious.